Your word goes a long way! 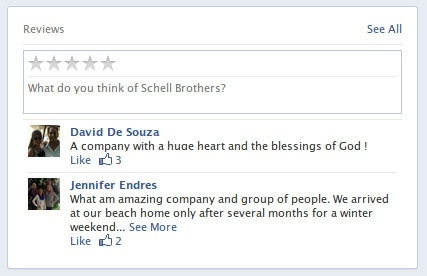 Help us, help others choose Schell Brothers. As a Schell Brothers homeowner you already know about our quality and craftsmanship. Share your positive experiences with others by posting reviews online or by allowing us to post your testimonial on your behalf. One of the best ways to share your experience is to write a review on Google. Visit our Google+ Page and click the "Write a Review" button. You’ll need to be signed in to your Google+ Account to write a review, or you will be prompted to sign up first. Do you already use Facebook to keep in touch with your family and friends? Visit our Facebook Page, and you’ll see a box in the newsfeed titled "Review". You can give us a star rating and even leave a comment about your experience! Houzz is a great site for collecting ideas while planning your dream home. 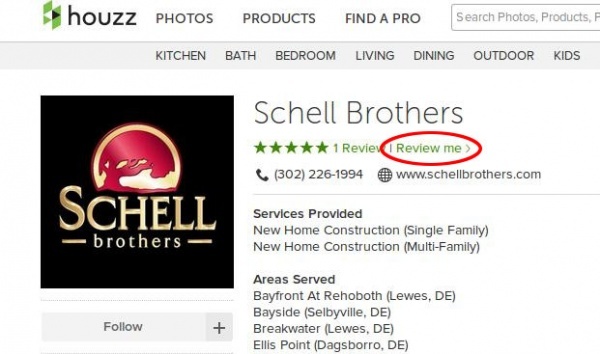 Visit our Houzz Page, and click the "Review me" link, or jump straight to the review page. Share your testimonial in a video. We like to hear first-hand about how wonderful your experience was with our team! 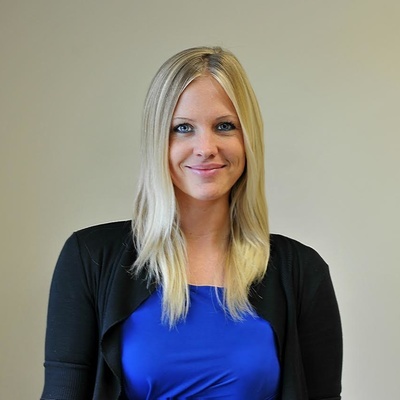 If you would like to be one of our stars on our Real Life Stories page, and don’t mind being in front of the camera, let us know here and we’ll get in touch with you to schedule a time to come visit you at your new home! If being in front of a camera isn’t for you, feel free to email us a statement that we can use on our website and Google.